Curated by Kelly Wearstler, our guest rooms play upon the designer’s distinctive take on exuberant, well-curated spaces and West Coast chill. 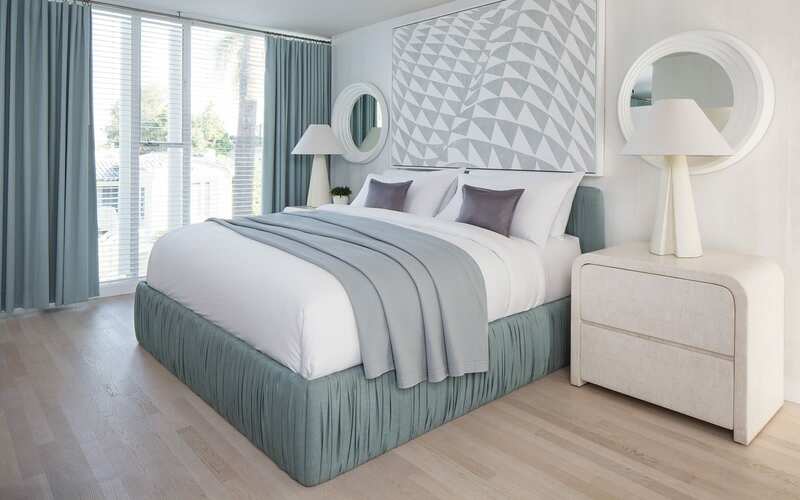 Our Deluxe King room is appointed with European white oak hardwood flooring, statuary white and ming green marble bathroom, bespoke furnishings, and floor-to-ceiling windows. Located at the heart of the hotel in the Olympic Building. many rooms offer balconies overlooking the pool.